Description: Single owner, like-new condition, less than 200 high-quality rounds fired. Purchased directly from STI factory in fall of 2016. Lovingly maintained and safely stored for full duration of ownership. Chambered in .45, including Crimson Trace CTC grip package. Never holstered. 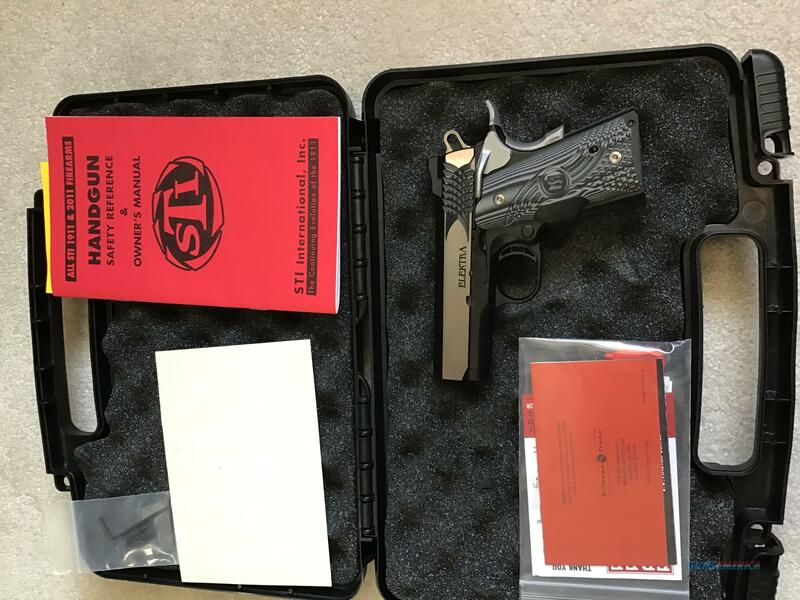 Includes all original pack-in accessories, including hard-case, magazine, Crimson Trace grips/tools, manuals, stickers, lock etc. Can email additional pictures, as needed. Shipping and transfer fees can be negotiation on a case-by-case basis depending on shipping location. Thank you for your interest and consideration.